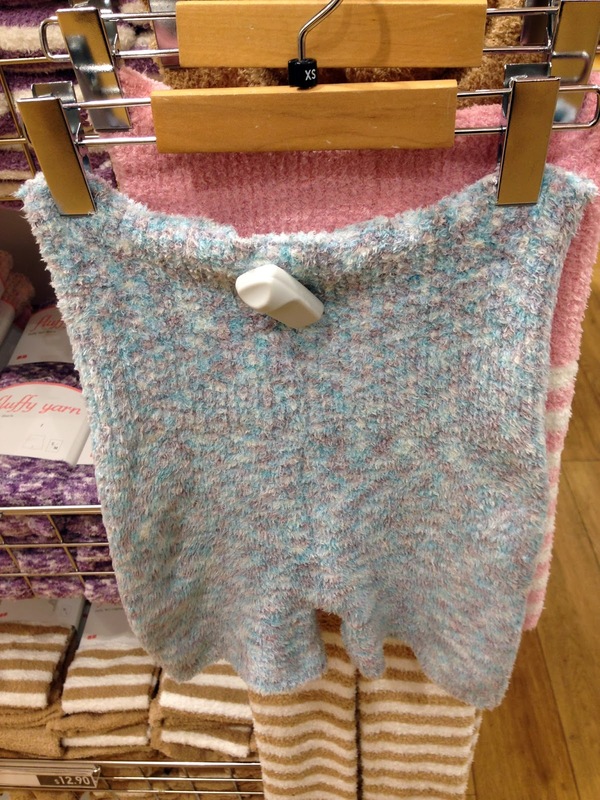 If you, like me, are obsessed with Uniqlo's fleece loungewear dresses, wait until you see their Fluffy Yarn collection. I spotted these today at the 34th Street store, second floor. Leggings, shorts, socks...can you see the softness of the fluffy yearn, I mean yarn, in the photo above? Let's check out the close-up. Amazing. Read a review here. Yes, these will keep your rear warm for the next Polar Vortex. I also like this quote: "Perfect for layering with a loungewear dress." It's like someone at Uniqlo is living in my brain.